Analyze any hashtag or keyword. Display all data in real time. Export professional PDF and PPT reports. 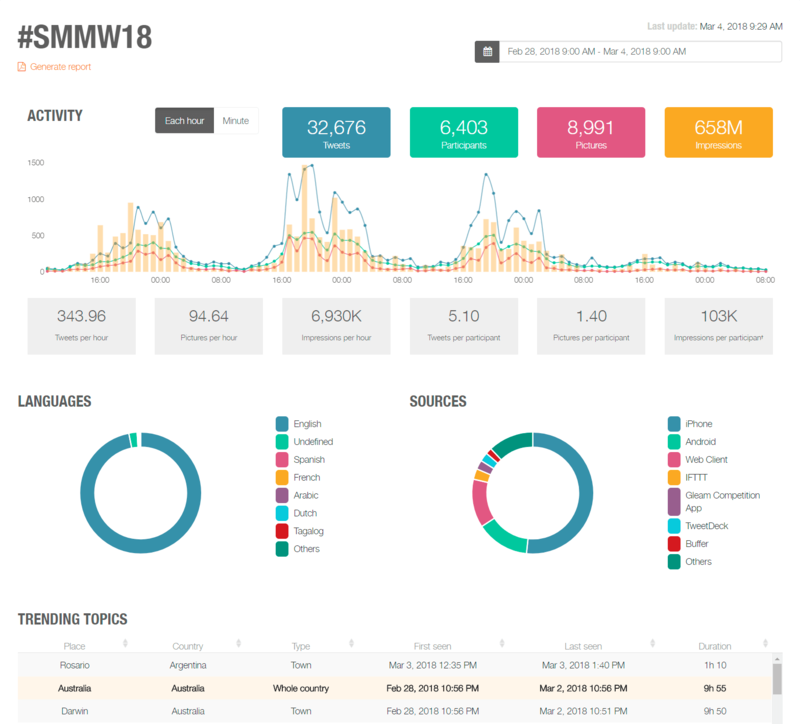 Analyze any hashtag on Twitter and Instagram. The information that matters and you need available in one place. Choose the period to analyze and the activity metrics that interests you. 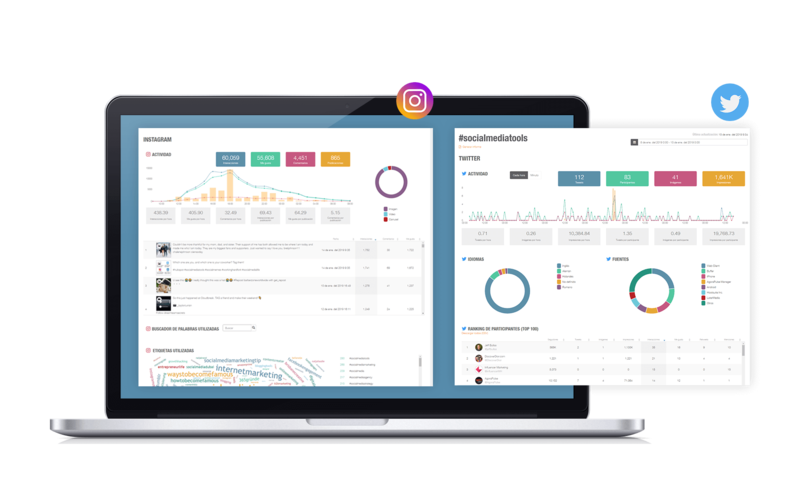 Access all the metrics of your Twitter and Instagram hashtag in the Metricool dashboard. Share the social walls of Metricool with all the data of your hashtags in real time. Encourage the participation of your audience and increase the reach of your event. Know in real time the most active and influential users of the hashtag you are measuring. 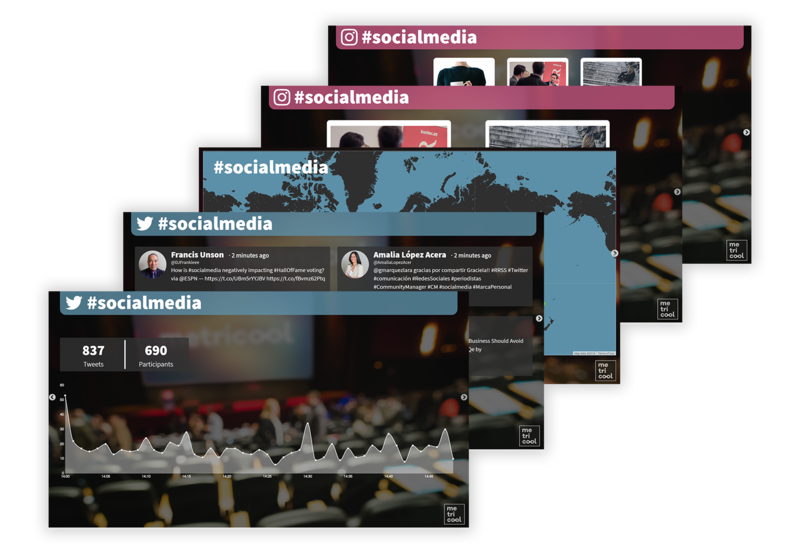 Become a trending topic and allow your audience to interact in your event. Exceptional hashtag reports for professionals like you. Generate custom reports on the performance of your hashtags and keywords. Choose the period to analyze and download your reports in PDF or PPT. Present your reports generated in seconds to your team, boss or sponsor. Register for free, once inside, hashtags analysis will be waiting for you. Already a member of Metricool?